'Intelligently structured and eloquently written, McGann’s book is a powerful homage to his family and Irish ancestry, to modern medicine and the welfare state. Packed with lively anecdotes and insights on social history, Flesh and Blood is a humble human story with a majestic theme' Times Literary Supplement. His family survived famine-ravaged Ireland in the 1850s. His ancestors settled in poverty-rife Victorian Liverpool, working to survive and thrive. Some of them became soldiers serving on the Western Front. One would be the last man to step off the SS Titanic as it sank beneath the icy waves. He would testify at the inquest. Stephen McGann is Doctor Turner in the BBC hit-drama series Call the Midwife. 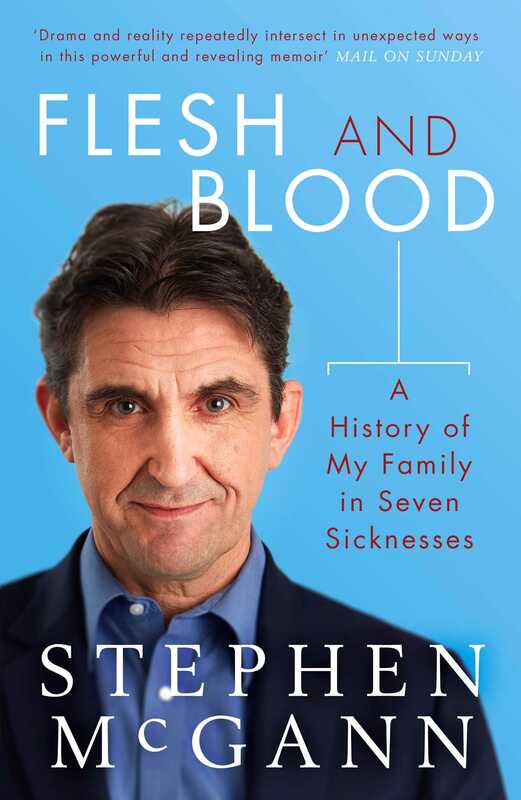 Flesh and Blood is the story of the McGann family as told through seven sicknesses – diseases, wounds or ailments that have afflicted Stephen’s relatives over the last century and a half, and which have helped mould him into what he now perceives himself to be. It’s the story of how health, or the lack of it, fuels our collective will and informs our personal narrative. Health is the motivational antagonist in the drama of our life story - circumscribing the extent of our actions, the quality of our character and the breadth of our ambition. Our maladies are the scribes that write the restless and mutating genome of our self-identity. Flesh and Blood combines McGann’s passion for genealogy with an academic interest in the social dimensions of medicine – and fuses these with a lifelong exploration of drama as a way to understand what motivates human beings to do the things they do. He looks back at scenes from his own life that were moulded by medical malady, and traces the crooked roots of each affliction through the lives of his ancestors, whose grim maladies punctuate the public documents or military records of his family tree. In this way he asks a simple, searching question: how have these maladies helped to shape the story of the person he is today?